Did you know that the iconic Great Ocean Road is 243km long and celebrated its 82nd Anniversary in late 2015. How about that it is considered the world’s largest war memorial (built to honour those who served in WW1)? The spectacular coastline is the final resting place of over 180 shipwrecks? Cape Otway Light Station is the oldest surviving lighthouse in mainland Australia? Did you know that Torquay is Australia’s surfing capital? Ever explored the Otway Harvest Wine and Food Trails? A little research answered the first four questions, but to get the answer to the last one, well, I told my partner and features editor, Pam Latham, to pack her bags, load the cameras and off we went. Travelling from Sydney, we flew to Melbourne’s Tullamarine airport and picked up the hire car. Once clear of the airport and heading for Geelong, we found the roads very easy to navigate. The wide and well sign posted road soon had us on the Princes Highway (M1and then A1) and heading to Colac. Turning left on the Colac- Forrest Road (C154) our quest for answers is soon being answered, as we arrived at the quaint hamlet of Forrest. The picturesque town of Forrest has a lot to offer for a small community. 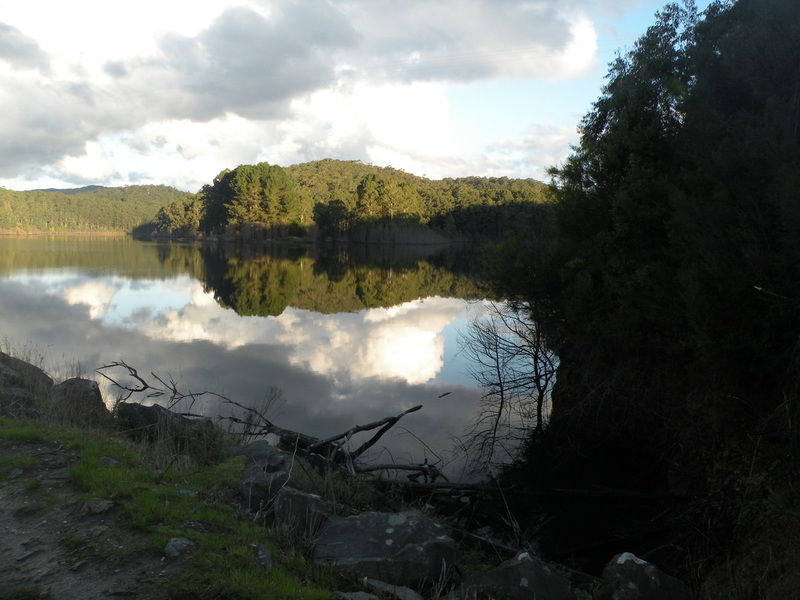 There are so many fun things to do there, like 60km of mountain bike trails, Lake Elizabeth platypus and glow worm tours, Tiger Rail Trail, Planet Mud Outdoor adventures, bushwalking, waterfalls, West Baryon dam....the list goes on. This beautifully restored building has been converted into a boutique guest house. The seven units are en-suited and the rooms feature dado panelling and gorgeous timber floors, doonas, duck down pillows and white linen. It was a very cold and wet night, but we were oh so snug. They also feature a fab licensed restaurant, where only the freshest of local delights are featured. 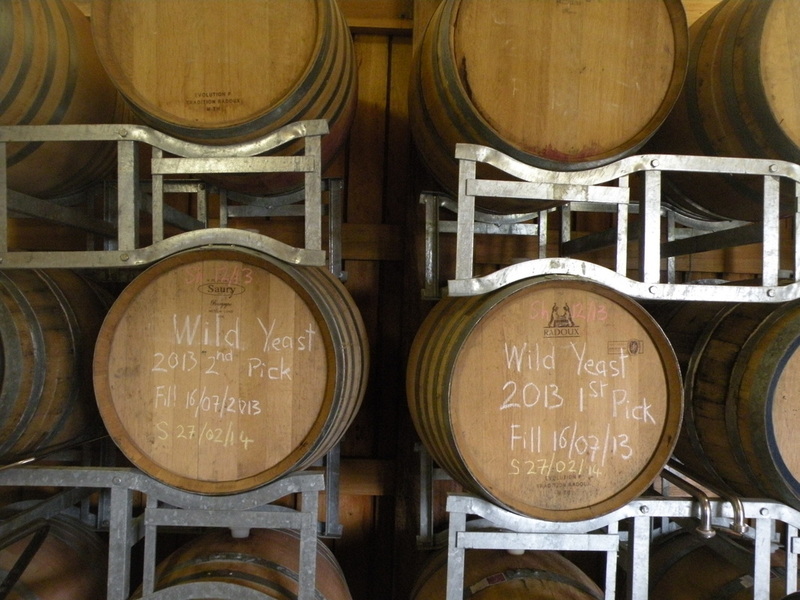 Forrest Brewing Company is equal parts microbrewery, eating place and mountain bike hang-out. The Forrest Brewing Company embodies all of the things to love about life, great beer, informal eating and good people. This is a great place to stop. Along the much larger Otway Harvest Food Trail you will find a great range of local produce; fresh organic blueberries at Beechy Berries, Coffee from Kazbah, strictly free range and grass fed meats at Otway Prime Beef & Lamb and the best mushrooms you will ever taste at Otway Forest Shitaake. For a slightly more indulgent foodie weekend – spend your day exploring the wineries along the Otway trail; Blakes Estate, Brown Magpie Wines, Dinny Goonan Wines, Gosling Creek Wines among others are all “must visits” – as is Forrest Brewing Company - equal parts microbrewery, eating place and mountain bike hang-out. We soon realised why this area is known worldwide for the wines they produce. Next time I am towing a trailer. Next stop was Apollo Bay, a totally scenic seaside village, with a flourishing restaurant scene, fabulous views and seen to be believed accommodation choices. We had to try Chris’s Restaurant, as Chris is a legendary figure in Australian cuisine. 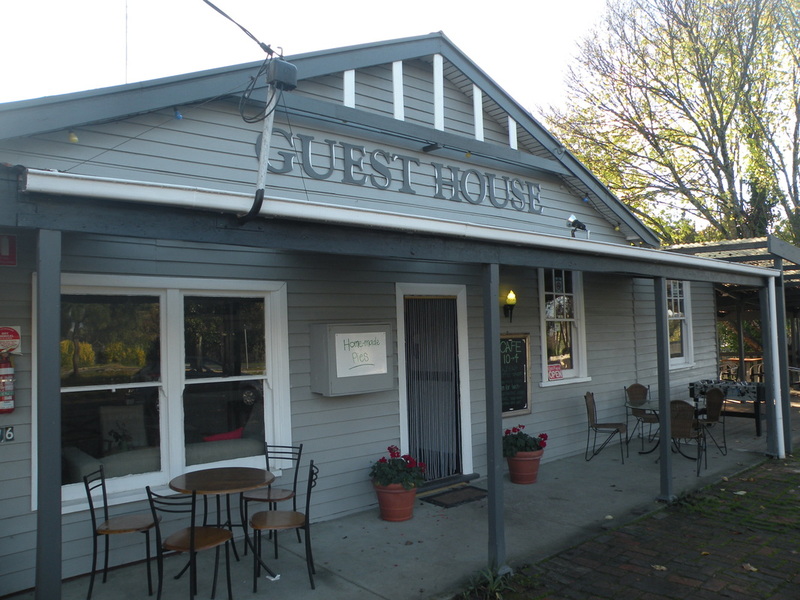 His passion for fresh local foods is reflected in the menu and is well worth a visit. Pam and I always enjoy staying at B&Bs, as it allows us to meet local tourism operators and get a closer feel for an area. We chose Apollo Bay Guest House B&B and what a delight. Not only is Maree a charming host, her local knowledge is honed from many years working in the tourism industry. 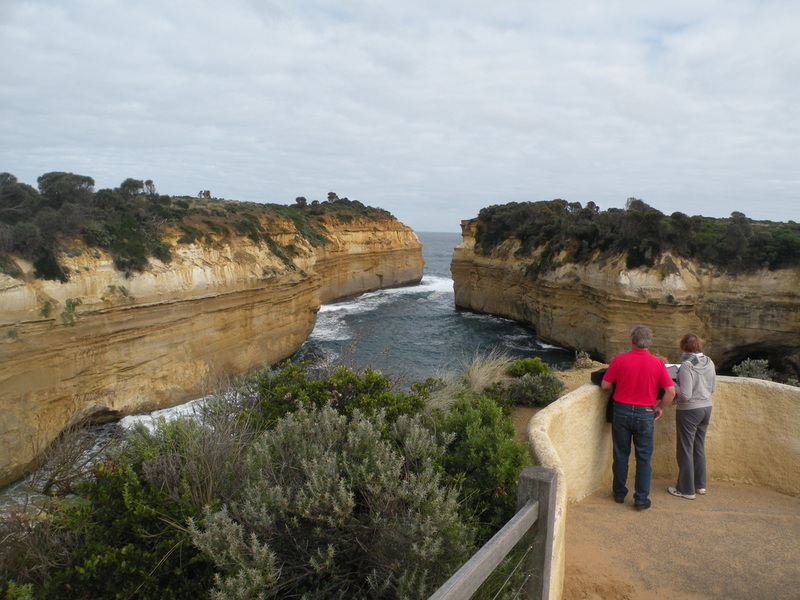 To complete our too short visit, we would suggest at least a week, we headed west, via the Apostles and to Port Campbell. Then turning inland we followed C164 to Camperdown and then back to Avalon Airport. 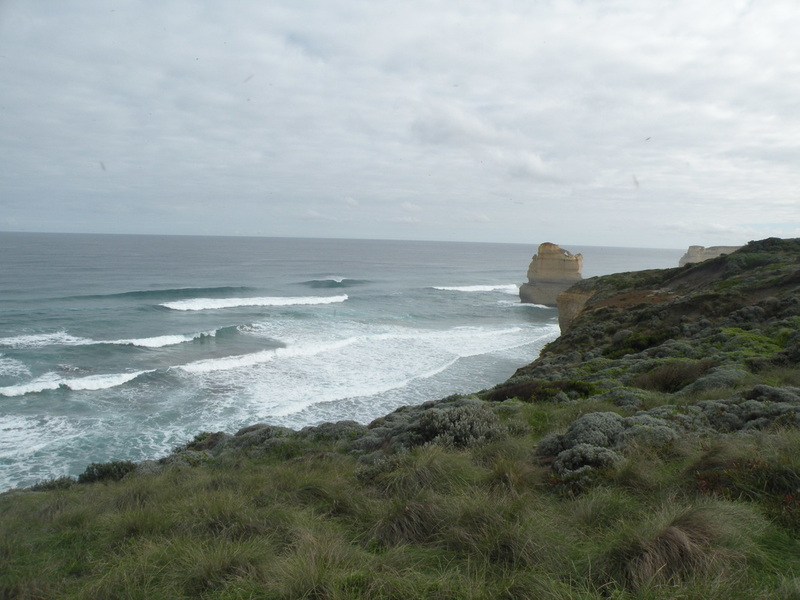 Well you can learn all this and more when you visit the Great Ocean Road. The Warrnambool Art Gallery, Surfworld in Torquay, Flagstaff Hill Maritime Museum and their famous sound and laser show, the Great Ocean Road Wildlife Park and the Otway National Park will not only educate – but entertain at the same time!